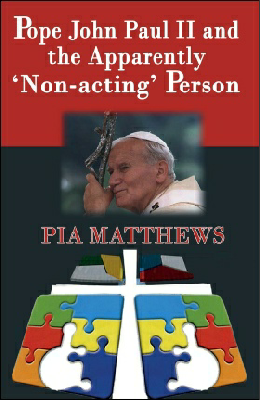 Drawing on Pope John Paul's extensive theological and ethical writings this important book explores the status of people with profound intellectual disabilities who some regard simply as 'non-acting'. This book demonstrates that all human beings, whatever their situations or capacities, are acting persons made in the image of God and that all principles whether from Catholic Social Teaching or from Pope John Paul's Theology of the Body apply to every human being as much as to any other. The book also considers liberation theologies of disability and the Pope's reflections on suffering as well as the controversial area of the provision of hydration and nutrition for one most profoundly disabled person, the person in persistent vegetative state. In addition it reflects on spirituality in the life of the profoundly disabled based on Karol Wojtyła's thesis on St John of the Cross. As the title of the book explains, the profoundly disabled are only apparently non-acting: no one can discount the possibility of an inner spiritual life and alongside all human beings the profoundly disabled have spiritual needs, are called to a life of holiness and are asked to cooperate in that calling as far as they are able. Moreover, all have a part to play in God's plan of salvation for all are 'workers in God's vineyard'.